Classeq stands for simplicity. 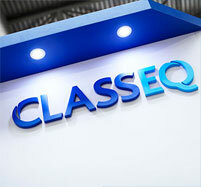 Every facet of the Classeq brand reinforces this message. Their products are engineered with simplicity in mind. They are easy to choose and install; simple for customers to use; and simple to maintain & clean. 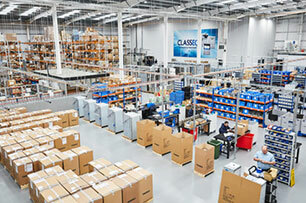 Complemented by high quality manufacture, dependable, robust build and friendly service — Classeq always provides clean, reliable and quality results at affordable prices. Classeq Warewashing was formed in 1977 to provide the hospitality industry with a range of robust, simple to use and cost-effective glass and dishwashing equipment for professionals. 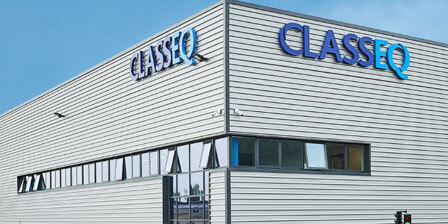 Since then, Classeq has unveiled many new products, applied new technologies and continues to reinforce its relationship with distributing partners to provide glass and dishwashing solutions that suit all markets. Compact, front-loading glasswashers are available in three sizes, holding up to 25 pint-sized glasses per rack. In addition, clever software constantly monitors water usage, temperature, chemical levels and wash cycles giving valuable data used to improve operational efficiencies. Classeq’s undercounters come in two ranges: Standard and Duo. Standard undercounter dishwashers are incredibly easy to use, simple to clean and deliver excellent wash results. Duo undercounter dishwashers have all the standard features plus an LCD display, a water board compliant air gap, double skinned construction, built-in rinse pump and a drain pump. Classeq’s Rack Conveyor dishwashers are truly exceptional; simple to use, easy to clean and provide reliable, consistently clean results, wash after wash. There is a range of rack machines to suit every need, from the compact CST (single tank) through to the Alto (multi-tank) dishwashers capable of washing up to 5,040 plates per hour.